Storing breast milk will make it easier to allow someone else to share the responsibility of feeding your sweetie once in a while. Whether you just want a night out or you are planning to return to work, having a supply of stored milk will make it easier to ensure that you can feed your baby without having to supplement with formula. It is best to express directly into a sterilized container. I usually used my breast pump to express breast milk into bottles and then I transferred it to storage bags. Breast milk can be kept in the fridge for up to 48 hours at 4°C without losing much nutritional value or protective immunological effect. However, it is actually safe to keep in the fridge for 3-5 days. 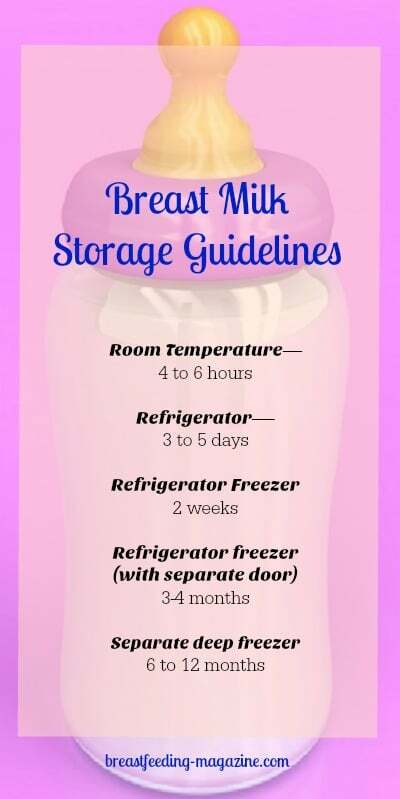 Breast milk can be kept in the freezer compartment of a fridge (that is, a freezer compartment with a separate door) for three to four months. If the freezer compartment is inside the fridge and does not have a separate door, then the breast milk may be stored for up to two weeks. If you have a separate deep freezer, milk can be stored for up to twelve months! Because the milk does go bad, it is important to label any expressed milk as soon as possible. This will help you to determine what milk to use each time and in what order. By using the oldest milk first, you will make sure than you waste as little as possible! 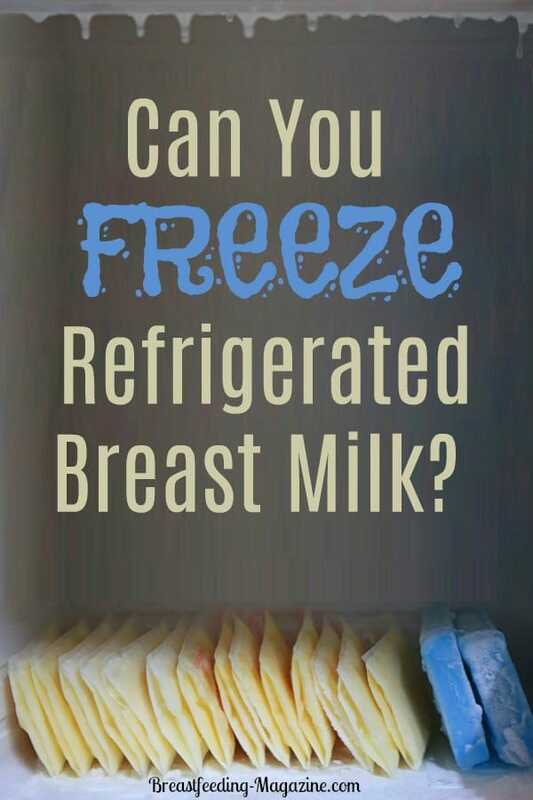 Can You Freeze Refrigerated Breast Milk? It is best to freeze milk as soon as possible after expressing. Most doctors suggest it is best to freeze it within 24-48 hours if you are not going to use it right away (Alder, 2017) While breastmilk from the refrigerator is safe to give your baby for several days, it is not safe to freeze after 48 hours in a cold fridge. By using the smaller amounts each time, you won’t accidentally thaw more than you use and end up throwing it away. There is nothing more frustrating to a new mom than needing to throw away breast milk she worked so hard to pump for her baby! 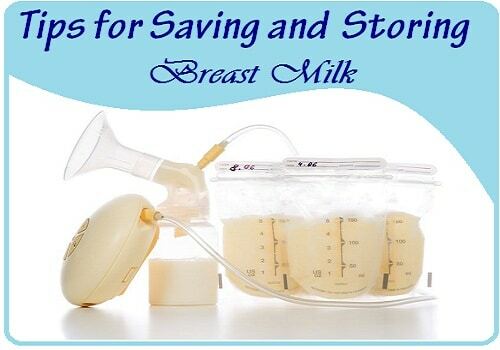 To see our top choices for breast milk storage, click here! Label each container with the date, including the month and year. I usually saved my milk in varying 1, 2 and 3 oz amounts so that I could take out only what I needed and none would go to waste! 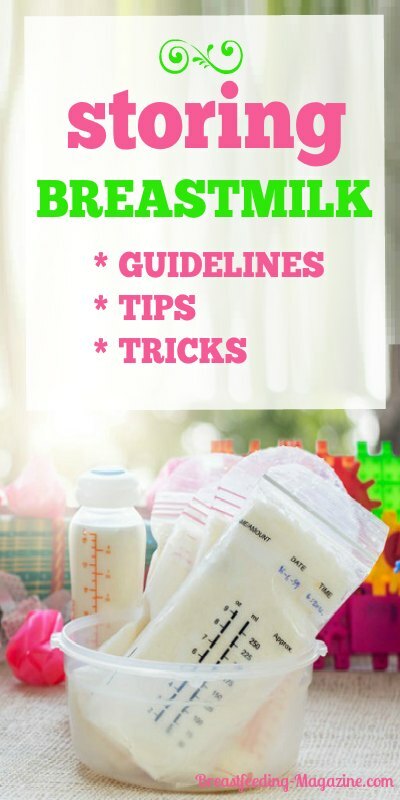 Once you have gotten the hang of storing breast milk, you will need to know the best way to thaw it. Frozen milk is best thawed by holding the container under running water to gradually bring the breast milk to body temperature. Do NOT use the microwave!!! It is important to realize that breast milk is not homogenized (where milk, fats and so on are all mixed together), so it will separate as it sits or is stored. You will need to stir or swirl gently to mix. Also, do not leave expressed milk standing around at room temperature. If you do not have a refrigerator handy, bring ice packs to cool the milk until you get it home or to a refrigerator. If the milk has been unfrozen in the refrigerator but not warmed, it can be stored in the fridge (but not re-frozen) for another 24 hours; if it has been thawed outside the fridge, in warm water, it can be kept in the fridge (but, again, not re-frozen) only for another 4 hours; if it has been given to your baby and he has begun drinking, the unused portion should be thrown out. You will be surprised how easy it is to accumulate quite the supply to use if you ever need it!